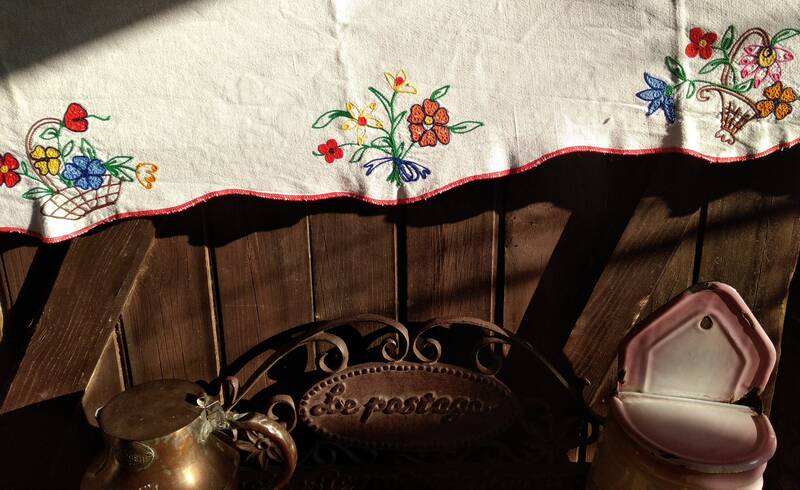 Beautiful Long French Kitchen Shelf Edging. 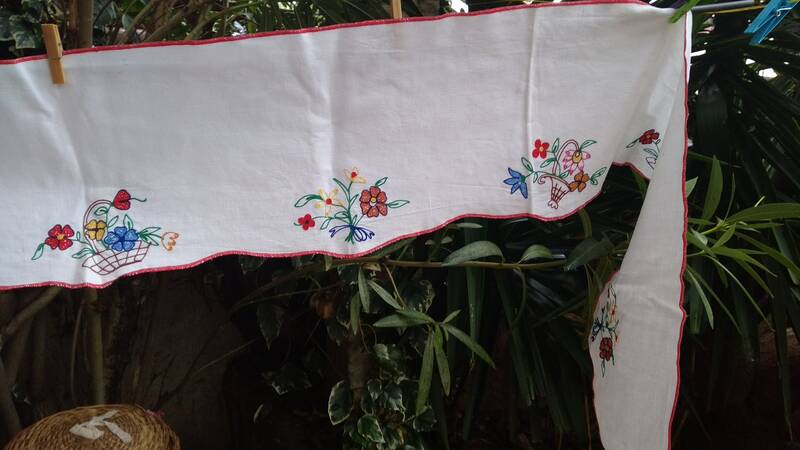 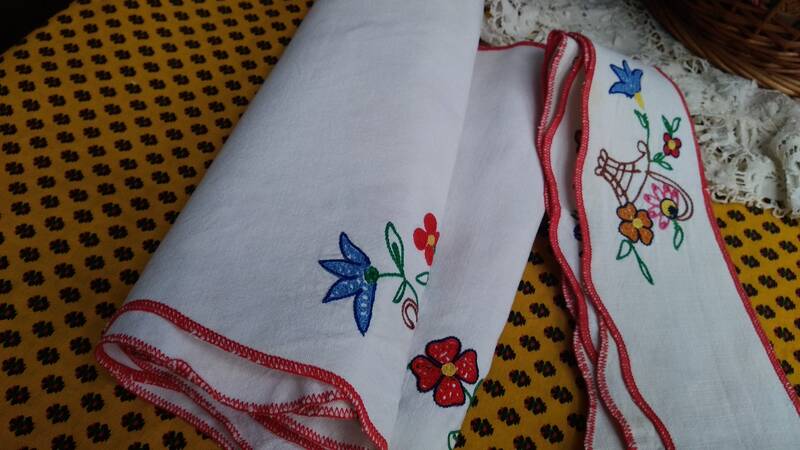 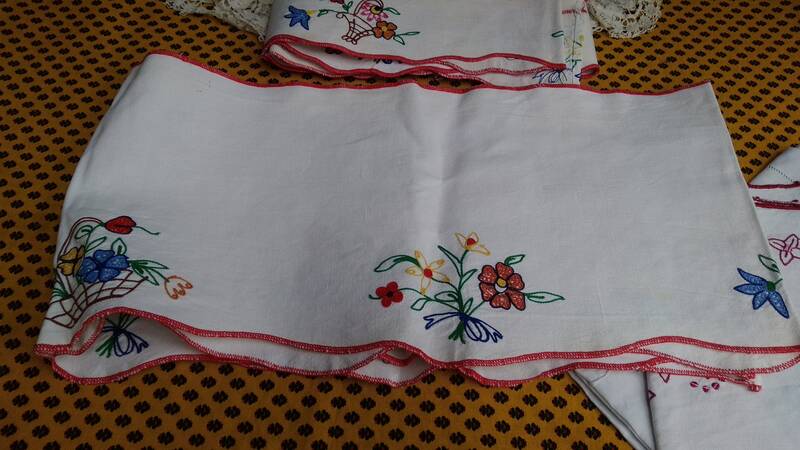 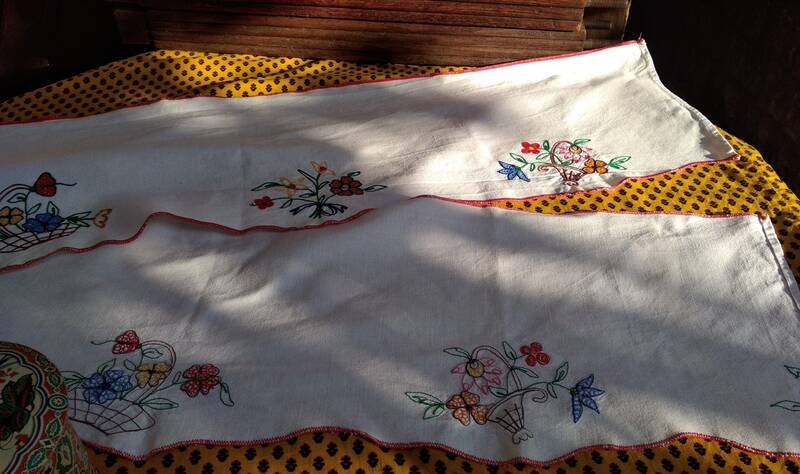 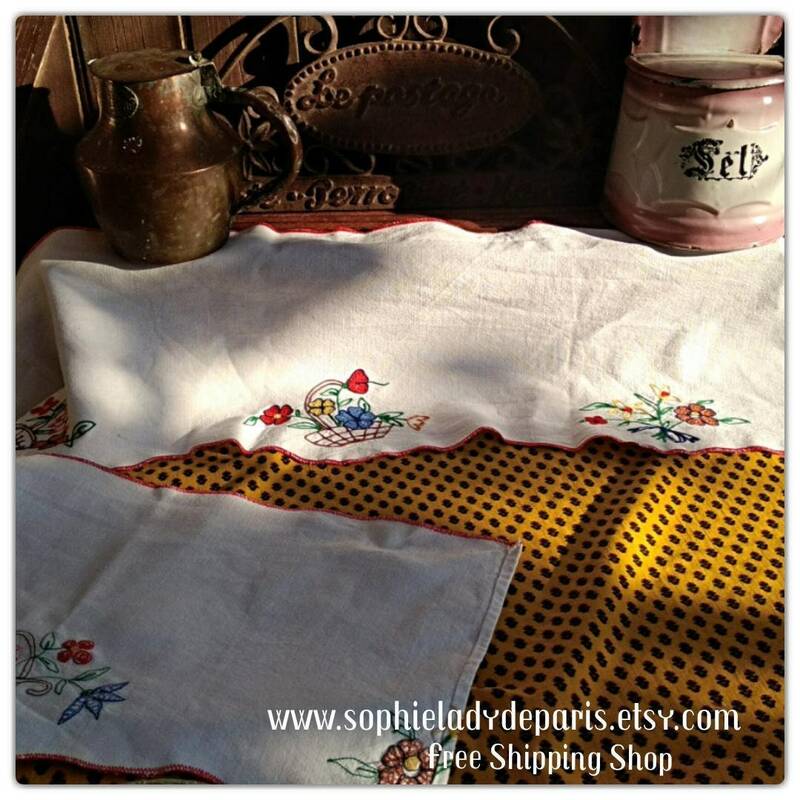 Thick (rather hard ) White metis linen made with flowers embroidered red trim. 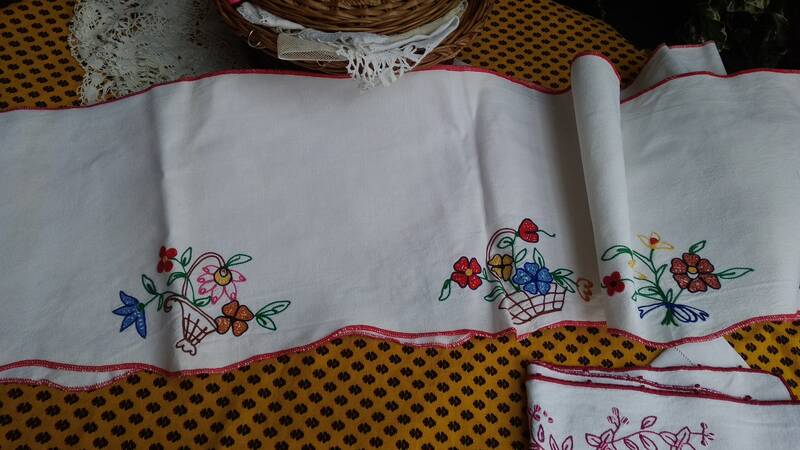 Beautiful to be in use again on shelf or on window or for sewing project!